As much as I appreciate the shock value and artistry of Henry: Portrait of A Serial Killer (dir. John McNaughton, 1986), the film is meant to be a bit naff, and as such the tinny pitch bend friendly music lends itself to the material. On the other hand, Scarface (dir. Brian De Palma, 1983) is a cinematic masterpiece highly regarded as a gangster movie classic. Al Pacino's finely honed dialogue should not be fighting for attention with squelchy synths. Bar some exceptions, which will be noted later in my article, you'd be forgiven for thinking they blew the budget on their lead actor, leaving the music department with a fiver and a Casio keyboard stuck on demo mode. Despite my criticism of this soundtrack, it's with a great love for gangster epics and how music has added impact to other genre favourites that I write this article. Using examples from films such as Goodfellas (dir. Martin Scoresese, 1990), The Godfather (dir. Francis Ford Coppola, 1972), Once Upon a Time in America (dir. Sergio Leone, 1984) and Carlito's Way (dir. Brian De Palma, 1993) I'm volunteering as the film's musical supervising saviour, with a lot of passion and even more time on my hands, I'm rescoring Scarface. The visuals of a gangster movie are a rich tapestry of metropolitan landscapes, seedy back alleys, elegant bars and clubs, luxurious foreboding mansions and places of work, immaculately pressed suits, gleaming waxed cars; art direction shown off to its full potential with sweeping, lingering cinematography. Music plays a vital role in demonstrating the gentle menace of Dons, the impending doom of traitors who must inevitably "sleep with the fishes" and the merciless violence enacted upon those who show disrespect to the family. Gangsters are mostly depicted as Italian-Americans who have been forced to develop a skewed path to the American Dream, adapting it for their own ends as their immigrant status denies them access to traditional methods of attainment. These characters retain their moral emphasis on the strength and importance of the family from their birth country, and have a rigid sense of honour meaning they show the utmost loyalty to friends but pose virtually inescapable danger to enemies. What the Scarface soundtrack does well is attempting to associate a theme tune with the lead character, which it succeeds in to a degree. Although there is a standout musical phrase we come to know as Tony's theme, it fails to musically represent his character. This is due to a tendency in the soundtrack as a whole to rely on the fashionable electronic music of the time as a means of expressing meaning, a meaning which is mostly lost on the viewer due to the dated nature of the style and its dislocation from the film's content. As I will show later in this article, a character 'theme' is achieved far more successfully in The Godfather. Scarface also has appropriate diegetic music in its favour, though this is executed to greater effect in both Once Upon a Time in America and Carlito's Way. Tonally Scarface's soundtrack is heavily indebted to the period in which it was produced; it's early '80s electronic drone lacks imagination, fails to infer meaning in terms of character traits, moods or ambition and dates the film for modern viewers. While many movies use music to indicate the current social context, trends and mood of the day, they tend to balance this with elements of timeless classical score, which successfully builds tension leaving ample time for diegetic music to lay under dialogue, reinforcing the time period indicated by art direction. While Scarface documents the rise and eventual cocaine fuelled demise of Cuban exile, Tony Montana, Carlito's Way tracks Puerto Rican ex-drug baron Carlito Bricante's return to the criminal underworld. The respective soundtracks serve the function of accompanying these anti-heroes' journeys, articulating how they feel, predicting danger and bringing the settings to life. I would argue that these intentions are realised in Carlito's Way, but fall short for Scarface. Scarface opens to crash sounds like the slamming of prison cell doors punctuating menacing mid-tempo and range keyboard chords, a droning bass, synthesised guitar strumming and a drum machine, which all blend together for a nauseating broth. This track seems unnecessarily busy considering the complex montage sequence and subtitles informing us that Castro deported many Cubans to the U.S.A in 1980, a proportion of which were fresh from the prisons. Perhaps De Palma noted this misjudgement because ten years later in Carlito's Way a classical score played on strings invites us into Carlito's world as he is shot and hospitalised in the opening moments. We can process the action much more effectively, and the timeless nature of classical music means its not dated and distracting. Other instances of vast improvement are audible in club sequences; while both use diegetic music to evoke the period and sense of isolated community (Tony's Cuban early '80s and Carlito's Puerto Rican mid '70s) Scarface's live and radio music can sound 'added in' and even looks out of rhythm with the dancing at points. The sound of a live band in Carlito's club naturally would be different to that of a record, so there is a marked difference in audio quality. The popular soundtrack function of time period contextualisation is especially important to Once Upon a Time in America, because on-screen text does not introduce the year of scenes. As David Aaronson stands viewing a billboard advertisement for New York we hear an orchestral rendition of the 1965 Beatles track 'Yesterday'. The decade, which the song brings to mind, the instrumentation, which is consistent with the soundtrack's entirety and the lyrical content signify the character's nostalgic mood on return to his old neighbourhood. Music as reminiscing accompaniment is also used in Goodfellas when Paulie slices garlic with a razor blade preparing a meal for the rest of the gang and Bobby Darrin's hit 'Beyond The Sea' is played. The use of this track has multi layered meanings; it has been performed by Sinatra whose rumoured association with the mafia is well known, and in fact supposedly inspired a musician character in Puzo's The Godfather. The men are gathering together like a family for a traditional Italian meal, harking back to simpler times in the home country or coming together to enjoy their mothers' cooking. The track was released in 1946, a purer time for the mafia, which was on the cusp of involvement in the bourgeoning drugs industry. These examples show how tracks seemingly just used to reinforce the time period can also infer other strong meanings through the track's extra-textual associations and lyrical content. This technique is largely lost in Scarface, which contains tracks simply indicating the musical style of the period. 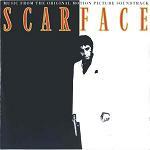 Scarface's soundtrack has a flat feel to it, while other films of the genre exploit their music to bring action out in relief, adding an extra dimension to characters and the visuals. The Godfather executes this technique brilliantly. The Don, as regal family figurehead has his own theme tune. 'Godfather Waltz' has a traditional Italian feel to it, the parade of musicians at Michael Corleone's Sicilian wedding have the same sound containing a dominance of reed instruments, strings and an accordion. The main musical phrase is proud, sorrowful and menacing at the same time, evoking the complexity of The Don's gentle yet merciless character. This leitmotif surfaces on numerous occasions throughout the film, perhaps most notably in the infamous 'horse's head' scene. Here, a call and response element is introduced into the 'Godfather Waltz', which increases in volume, tempo and pitch creating an atmosphere of threat and panic. The Godfather utilises an almost personified soundtrack, which takes on a life of its own, equally as important as the cinematography in carving out the film's personalities, emphasising the illustrious lifestyles portrayed, retaining stylistic continuity and momentum. 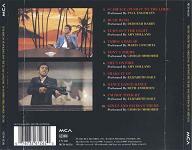 As with The Godfather, Scarface's Tony has a theme tune. It appears at three key moments: before we meet him in the opening montage sequence, a soft, sad version as he sits at his desk thinking about his crumbling empire and played on an organ and strings as he dies. All of these occasions demonstrate his struggles. The beginning montage describes through text and image how Tony and other Cuban exiles faced great hardship in their communist birth country and in the ghettos setup on arrival to the U.S.A. Following this scene we learn of the cramped conditions and persecuted life the immigrants suffer in their camp, which is sealed off from ordinary society as a self sufficient community. The theme catches up with him again, whilst Tony sits in a drugged stupor, stubbornly holding fort in his office as his business falls to pieces. A mountainous pile of cocaine and recollections of his failure to care for his mother and sister, his runaway bride and slaying of his own right hand man are his only company. The track calls to mind bitter memories of a dream in ashes and a man sure to meet his grizzly demise. This comes to fruition only a few minutes later in a fiercely fought dramatic showdown with a conveyor belt of gunmen. Scarface's soundtrack falls short of the mark because it lacks a sense of connection to characters or depth in terms of meaning. A clear product of its era, the music is dated, but worst of all it seems to run alongside the narrative rather than intertwining itself within the action. The soundtrack tells us that Tony is living in the hedonistic '80s and is a Cuban immigrant, but it doesn't expand on how these facts impinge his journey, make his character unique and light the fuse that sends him on a downward spiral. I'm not arguing that these compositions in themselves are inferior to those of any other film, but that –while they are appropriate in demonstrating what I've noted- the themes and emotions they evoke don't do the movie justice. Alterations in this soundtrack, taking the lead from other successful gangster genre soundtracks like those I've mentioned, could make a great film phenomenal.